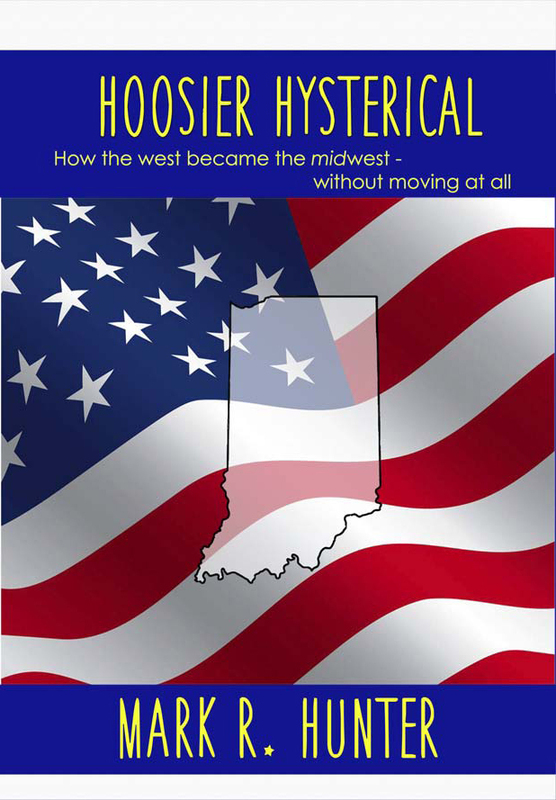 That’s right, you can now get the print version of the funniest book I’ve written this year, Hoosier Hysterical: How the West Became the Midwest Without Moving At All. 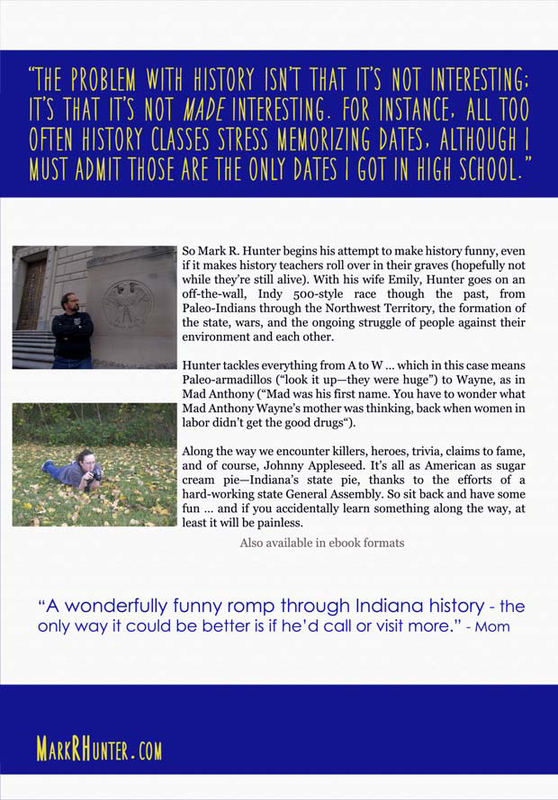 It’s all about poking fun at Indiana history, facts, and trivia, just in time for the state’s bicentennial. If it was fiction, I’d have to say it’s got some great settings and fascinating characters, although the plotline seems a bit linear. It’s not available as an e-book just yet, but Emily’s working on it—expect that soon. But why bother, when this fully illustrated print version is just ten dollars? That’s right—less than the cost of two packs of cigarettes, and way healthier … unless you’re into smoking books. My own shipment of copies should arrive soon, and I’ll be sending out some promised print and e-books. I hope you laugh, or at least smile. Or at least, don’t frown. and on Createspace at https://www.createspace.com/6257306.